"Registration Fee" – an official fee transferred by each Team to cover the administrative expenses for the Moot. The fee is currently EUR600; teams from institutions in countries with a "Medium" HDI pay EUR400; teams from institutions in countries with "Low" HDI pay EUR200(see http://hdr.undp.org/en/statistics/). The fee may also be paid in its US $ equivalent. Together, these Founders have signed the Memorandum of Understanding on the Establishment of Foreign Direct Investment International Moot Competition. 1. The Organizer shall be responsible for the organization and execution of the Moot. 2. All requests regarding the administration of the Moot, implementation and interpretation of its Rules shall be directed to the Organizer. 3. The Organizer is located at Matzenkopfgasse 19, A-5020 Salzburg, Austria; Tel. +43 (662) 835399; Fax +43 (662) 835399-09, with the Moot Website at www.fdimoot.org. All communications with the Organizer shall be via e-mail using http://www.fdimoot.org/fdimootcontact.php or the administrative email address disclosed to registered teams. 4. The Organizer may designate one or more Directors of the FDI Moot. 1. The Moot shall involve a hypothetical dispute in connection with an investment by a foreign investor in a host state. 2. Relevant institutional (e.g., the Rules of Procedure for Arbitration Proceedings or the Additional Facility Rules of the International Centre for Settlement of Investment Disputes, Arbitration Rules of the London Court of International Arbitration) or ad hoc rules (e.g., UNCITRAL Arbitration Rules) will apply to the proceedings. The Moot shall consist of two stages: preparation and submission of written Memorials for each of Claimant and Respondent, and presentation of oral arguments at the Oral Hearings. The Oral Hearing shall be held at the facilities of the Host and/or supporting local law firms and international organizations determined each year by the Organizer. The Moot shall be conducted in English. 1. All materials prepared by or for the Organizer for the Moot, including without limitation the case, any bench brief, the procedural orders, clarifications, the Rules, the Schedule etc. are the exclusive property of the Organizer and may not be used for any purpose other than administration of the Moot and/or participation therein, without prior express written consent of the Organizer. 2. All Memorials submitted in the Moot become the sole property of the Organizer and may be copyrighted as such. 3. The Organizer reserves all the rights to the audio and videotaping of any Oral Round, or part thereof. 1. Any university level institution that has a law-related program of study ("the School") may participate in the Moot. The number of the Teams originating from the same country is not restricted. 2. The list of team members (students and coaches) shall be submitted to the Organizer in accordance with the Organizer's instructions and the Schedule. 3. Each participating School shall form one Team composed of two or more students. There is no maximum limit on the number of Team members. The registration fee includes the attendance of five team members (students or coaches) at the oral hearings. 4. Teams may not comprise students representing more than two institutions, which must be in the same city. 1. Persons shall be eligible to become members of a Team irrespective of previous participation in the Moot. 2. A student member shall be enrolled in a program of undergraduate or advanced legal studies when he or she becomes a Team member or will have completed such program of legal studies within six months prior to the deadline to submit memorials. A visiting student, a student enrolled as an extern or apprentice may also become a team member. Participation of students enrolled in programs other than law may be allowed upon prior written consent of the Organizer. 3. A student who has or will have been admitted to the bar or legal practice in any jurisdiction more than six months prior to the deadline for submitting memorials may only become a Team member with the prior written consent of the Organizer. 1. In each match of the Oral Rounds, each Team shall be represented by exactly two student members. The same or different student members may participate in different matches. Where, for extraordinary reasons such as sudden serious illness or denial of visa, a Team becomes unable to field two advocates for the oral hearings, the Organizer may in its discretion permit the Team to participate with its sole remaining student member pleading (i) only half the issues/allotted time or (ii) all the issues/allotted time. In the case of (i), the Team will not be able to win matches or advance to the elimination rounds, but the sole advocate will remain individually eligible for ranking; in the case of (ii), the Team may also win matches and advance to the elimination rounds, though in its discretion the Organizer may impose a penalty for the Team only having one advocate. 2. Teams shall not reveal their School or country of origin to the Arbitrators or Memorial Judges at any time during the Competition. Every Team shall be referred to by its competition alias assigned by the Organizer. 3. Team members are responsible for their own travel to, visas for, and accommodations at the venue of the Oral Hearings. 1. All research, writing and editing, especially of memorials, shall be the exclusive product of student Team members. Teams may seek and receive outside assistance, which shall be limited to a general discussion of the issues, suggestions as to research sources, general comments on arguments, organization and structure, and practice for the Oral Hearings. Teams may also receive financial and logistical support. 2. Teams shall indicate any person attending the oral rounds who has assisted the Team, either by registering such persons as a coach member of the Teams, or making the Organiser aware that such person, having been invited by the Organizer to act as an Arbitrator at the orals, could give rise to an appearance of partiality if assigned to one of the Team’s hearings. Arbitrators and memorial judges should independently indicate a “conflict” with any Team they have assisted within the meaning of this rule. 3. Pre-mooting among participating teams is permitted so long as pre-moot organizers notify the Organizer. Pre-mooting may not involve exchange of memorials or other materials. Pre-moot teams must accept that the Organizer cannot take account of the pre-moot in its conduct of the Global FDI Moot orals rounds. 1. Every School shall fill-in and submit to the Organizer before 31 May the Registration Form available on-line at www.fdimoot.org. 2. In the Registration Form, each Team shall designate a Team contact, communication with whom constitutes communication with the Team. Communication between a Team and the Organizer via anyone other than the Team contact shall be at the risk of the Team. 1. The Registration Fee shall be paid by 31 May. 2. If a Team withdraws from the Moot before the first deadline for submitting requests for clarification, its Registration Fee shall be refunded in full, less bank charges or any other related expenses. 1. Only upon the receipt of both the Registration Form and the Registration Fee will the Organizer officially confirm the registration of each Team and assign an alias for use in the Moot (on memorials and during the oral hearings). 1. A dispute arises between a foreign investor and a host State. An (arguably) applicable investment agreement, treaty, or national legislation provides for dispute resolution before an arbitral tribunal consisting of three arbitrators in accordance with the chosen arbitration rules. 2. The dispute involves a set of theoretical and practical procedural and substantive legal issues both in the sphere of arbitration adjudication and foreign investment regulation and protection. Any existing or fictitious legal provisions may be used. 3. The dispute itself and the names of all the parties mentioned therein are fictitious. Any resemblance to an actual dispute or persons living or dead is purely coincidental. 1. The Case shall be drafted each year by a Case Committee selected by the Organiser. 2. 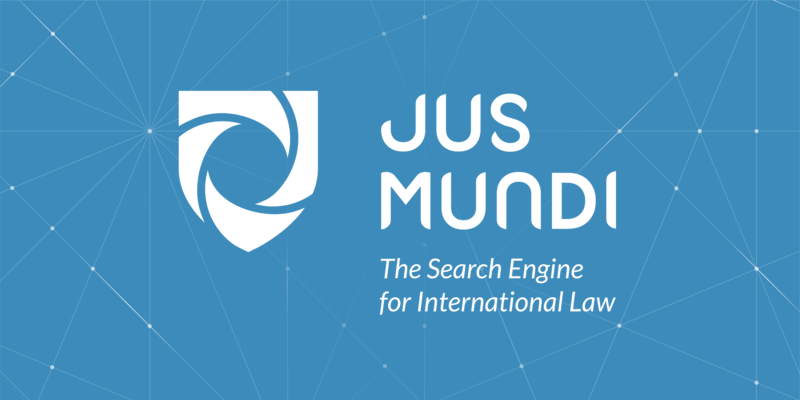 The Case shall consist of any relevant contracts concluded between the parties, their correspondence prior to the date of official announcement of the Moot, notice/request of arbitration, statements of claim and defense and their exhibits, minutes of the pre-hearing conference held by the arbitral tribunal, and any procedural documents issued by the arbitral tribunal. Facts of the Case may also be presented in the form of an agreed statement of facts, governmental decisions, newspaper articles, website information, etc. No additional facts shall be allowed, unless they are logical or publicly available. 1. The Organizer shall post the Case on www.fdimoot.org as stipulated in the Schedule. 1. The Organizer may provide all teams an equal, limited (timing and volume) opportunity to request clarifications of the case. Details on requesting clarifications will be disclosed to each Team when its registration is complete. 2. Any clarification responses shall be prepared by the Organizer and Case Committee and posted on www.fdimoot.org in accordance with the Schedule. 3. The Organizer and Case Committee may in their absolute discretion clarify only legally significant matters or those matters that may affect the understanding of facts of the dispute. 1. The Organizer shall distribute a Bench Brief outlining the major arguments and indicating some possible arguments on the issues raised in the Case only to the Memorial Judges and the Arbitrators in accordance with the Schedule. 2. The Bench Brief is strictly confidential. Authorized readers of the Bench Brief shall not disclose its contents to Teams or their coaches. The Organizer shall disqualify any Team making use of the Bench Brief. 1. Each Team shall prepare a Memorial for Claimant and a Memorial for Respondent, strictly observing Rule 3.4(1) limiting all research, writing and editing to student Team members. Both Memorials shall be submitted according to the Organizer's instructions no later than the date specified in the Schedule. 2. A Memorial shall be contained in a single file. The electronic copies shall be submitted in PDF format. 3. Equipment or software failure shall not be considered as an excuse for improper formatting or late submission of Memorials. 4. No Team may revise, substitute, add, delete, or in any other manner alter its Memorials once submitted. 2. A Memorial may contain additional parts or exhibits as necessary. 3. The name of a Teams' School or country of origin must not appear in any way on the Memorial. A Team shall be identified only by its alias assigned by the Organiser. The alias shall be placed in the upper right-hand corner of the outside front cover of each Memorial. 1. A Memorial shall be drafted in formal English. The use of Latin maxims and foreign terms (e.g. Kompetenz-Kompetenz) is allowed in so far as they are widely accepted and known. 2. The text including quotations within the text shall between 12 and 14 point in a standard, legible font; footnotes may be 10 or 11 point. The statement of facts and arguments must be 1½ line-spacing. All margins must be at least one inch or 2.5 cm. 3. The pages of the statement of facts and arguments together shall be numbered consecutively in Arabic numerals (1, 2, ….). All other parts of a Memorial shall be page-numbered consecutively in small Roman numerals (i, ii, …). Each page shall be numbered in the middle at the bottom. 4. The paragraphs of the statements of facts and arguments parts shall be numbered consecutively in Arabic numerals. 1. The List of Authorities shall contain only those authorities actually cited in a form adequate to allow an educated reader to identify and locate the authority. 2. The footnotes shall be used to cite the authorities in the arguments. Be wary of making arguments or including facts in footnotes. The footnotes may contain a short form of citation (if introduced in the List of Authorities). Excessive quotations shall be avoided. A quotation of more than one and a half lines in length shall be block quoted and single-spaced. d. The title of the document, i.e. Memorial for Claimant, Respondent, Applicant, or the like, as the case may be. It must not contain anything identifying the Team's origins (University name, logo, URL, city, country, etc.). 1. All Memorials submitted shall be reviewed by at least three Judges. 2. Each Judge shall score the Memorials on the quality of analysis of the issues involved, persuasiveness of the arguments, logic and reasoning, writing, knowledge of the facts, use of authorities and extent of the research. 3. The Organizer will deduct points for non-adherence to the style specified in the present Rules. Judges need not ascertain a memorial's technical compliance with the 16,000 word limit; this will be monitored by the Organizer (see 6.3 above). Judges may demote a memorial for being lengthy, inconcise, pleonastic or inflated irrespective of the word count - quod erat demonstrandum :-). Three days before the Oral Hearings, each Team shall receive access to the Memorials drafted by other Teams. 6.2.1. - Skeleton Briefs shall only include items 6.2.a. and 6.2.e referred to above. 6.2.2. - Skeleton Briefs may NOT contain additional parts or exhibits. 6.3. - Each Skeleton Brief, including any footnotes, shall be 1500 words or less. 6.4. - Skeleton Briefs may be drafted in topic outline style (see example). 6.5. - Not applicable (see 6.2.1. above). 6.7. - The review criteria shall be adjusted according the nature of Skeleton Briefs. 6.9. - One day before the Regional Hearings, each Team shall receive access to the Skeleton Briefs drafted by other Teams. Teams advancing from the Regionals to the Global must then submit full memorials; teams not advancing from the Regional may submit full memorials. 1. The Oral Hearings shall consist of Preliminary, Semi-Final and Final Rounds. If the Organizer deems it beneficial to the Moot, Quarterfinal Rounds or a Round of 16 may be conducted prior to the Semi-Final Rounds. 2. The Oral Hearings shall take place generally at the premises of the Host announced each year (see www.fdimoot.org). Each Team shall present in English oral arguments for Claimant/Applicant and for Respondent. Its oral pleadings shall not be restricted to the arguments stated in its Memorials. 1. Each Oral match consists of 80 minutes of oral pleading. Claimant and Respondent are each allotted 40 minutes, including not more than 5 minutes thereof each for any rebuttal or surrebuttal. A Team shall allocate at least 15 minutes to each oral advocate. The time allotted includes the time needed to answer any questions from the panel. 2. Before the hearing begins, teams must submit to the Tribunal in writing an order of argument, including any time reserved for rebuttal or surrebuttal, that is either (i) agreed between the teams or (ii) each team's proposal (with copy to the opposing team). If there is no agreed order of argument, the presiding arbitrator's decision is final as to the proposals. Arbitrators shall ensure that both teams are treated fairly. 3. Only students registered as Team members may act as oral advocates. No more than two Team members may plead during one Oral Round. Other Team members may be present in the session in which their Team is pleading. 4. The Organizer shall supply the Teams with the Schedule of the Oral Rounds one week before. Three arbitrators shall preside over each Oral Round. If there is a shortage of Arbitrators, the Organizer may assign two or one arbitrator to preside over the Oral round. The Organizer shall appoint the Arbitrators from its College of Arbitrators. 1. During an Oral Round, the Team members pleading may only communicate with those team members at the counsel's table, the Tribunal, the Secretary and opposing counsel. 2. Behavior that distracts from the hearing is prohibited. Team members pleading in a given Oral Round may exchange written notes or assist each other in finding the necessary documents. No other communication shall be allowed. 3. Use of any electronic devices (cell phones, tablets, laptops, etc.) such as for time-keeping, note-taking, argument outlining or providing information in support of the pleadings in permitted. Use of these devices to communicate with any person except co-counsel at the counsel's table is prohibited. 1. All Oral Rounds shall be open to the public (subject to paragraph 7.8, and the security requirements of the host venue). 2. The Organizer may provide for the live web cast of the Teams pleading on the Moot Website. No documentary evidence (exhibits, handouts, flip-charts, etc. ), slideshows, or examination of witnesses or experts is allowed during the Oral Hearing. 1. Team members or persons directly affiliated with any Team may only attend matches in which their Team is competing, unless their Team has already been eliminated from the Moot. 1. In case a Team fails to appear for a scheduled Oral Round, the arbitral tribunal after notifying the Organizer and waiting for 15 minutes shall conduct the Oral Round ex parte. The attending Team may present its arguments and shall be scored as if the absent Team were present. 2. The Team that fails to appear at the scheduled Oral Round forfeits all points for the round. 1. Each Team shall present an oral argument in at least four Preliminary Rounds: twice as Claimant and twice as Respondent. 1. The Arbitrators shall score the individual oral advocates' presentations during Preliminary Rounds. The Organizer shall prepare and supply the Arbitrators with official scoring sheets. 2. In estimating individual oral advocates' presentations, the Arbitrators shall take into account the competence, inclusion of relevant facts, knowledge of legal norms, structure and logic of the arguments, response to questions. The Arbitrators shall also take into account that for some Teams English is not their mother tongue. 3. Every Arbitrator shall award each oral advocate a maximum of 100 points per round. The score per Oral Round for the oral arguments of a Team shall be the total of the points awarded and may be a maximum of 600 points (300 points for each Team's oral advocate). 4. Arbitrators shall conduct the Oral Hearings in accordance with the Conduct of Hearing Guidance (http://fdimoot.org/Instructions.doc as updated from time to time). 1. The Organizer may elect to conduct Preliminary Rounds on the basis of pools, round-robin or Swiss-tournaments, and seed teams according to their memorial scores and/or progressively during the preliminary rounds. The Teams shall plead as Respondent and as Claimant an equal number of times, and two Teams shall not face each other more than twice. 2. Teams may advance to the elimination rounds on the basis of the aggregate scores of its oral advocates, the number of matches it has won, or a match ranking system. The Organizer may also factor memorial scores (on a weighted basis) into a Team's aggregate scores or into each Team's match scores in order to determine the winner of each match. 1. The teams emerging from the preliminary rounds (according to 7.12) or a preceding elimination round may be paired strongest v weakest, second strongest v second weakest, etc. 2. If the pairings do not involve each team pleading both as Claimant and Respondent, the decision as to which Team pleads Claimant or Respondent may be determined by lot. The winning Team of the Final Round is the winner of the Moot and shall receive the Skadden, Arps, Slate, Meagher & Flom Trophy. The best individual oral advocate shall be determined by the average of the normalized scores awarded in three or more Preliminary Rounds (irrespective of representing Claimant or Respondent), and will receive the Thomas Waelde Advocacy Award. The top 10 such scores will be honorably mentioned. The best advocates arguing two rounds as Claimant or two rounds as Respondent shall be similarly recognised. The best advocate of the Final will also be recognised. The Team that receives the greatest number of points from the Memorial Judges for its Memorial for Claimant shall receive the Award for the Best Memorial for Claimant. The Team that receives the greatest numbers of points from the Memorial Judges for its Memorial for Respondent shall receive the Award for the Best Memorial for Respondent. The Team with the highest score resulting from the sum of its normalized scores from the preliminary oral rounds and its Memorial scores shall receive the Highest Ranked Team Award. 1. The Memorial Judges may during the scoring procedure reduce the number of points awarded to a Team's Memorial for violations of Rules 6.1-6.7. 2. The Arbitrators scoring the Preliminary Rounds may reduce the number of points awarded to a Team's individual oral advocate for violations of Rules 7.5 and 7.7. 3. The Organizer may reduce the number of points awarded to a Team for violation of Rules 6.1 (1) or 7.8. 4. The number of points deducted shall correspond to the severity of the violation as adjudged by the Memorial Judges, the Arbitrators, or the Organizer accordingly. 5. The Memorial Judges and the Arbitrators shall be provided with the internal instructions as to the number of points to be deducted for each violation of the present Rules. The Organizer shall be authorized to disqualify a Team for serious violations of the Rules that the Organizer deems to be dishonest rather than inadvertent. The decision of the Organizer is final. All requests regarding the organization and administration of the Moot shall be directed to the Organizer via e-mail. No Team shall seek direct communication with any arbitrator or memorial judge (who is not registered with the Organizer as that Team's coach). All requests for the interpretation of the present Rules shall be forwarded to the Organizer. The Organizer shall also annually review and amend the Rules as necessary to correspond to the actual circumstances. Any Team submitting the Registration Form and transferring the Registration Fee thus agrees to observe the present Rules. Any decision of the Organizer in connection with the organization, execution and administration of the Moot is final and not subject to appeal. 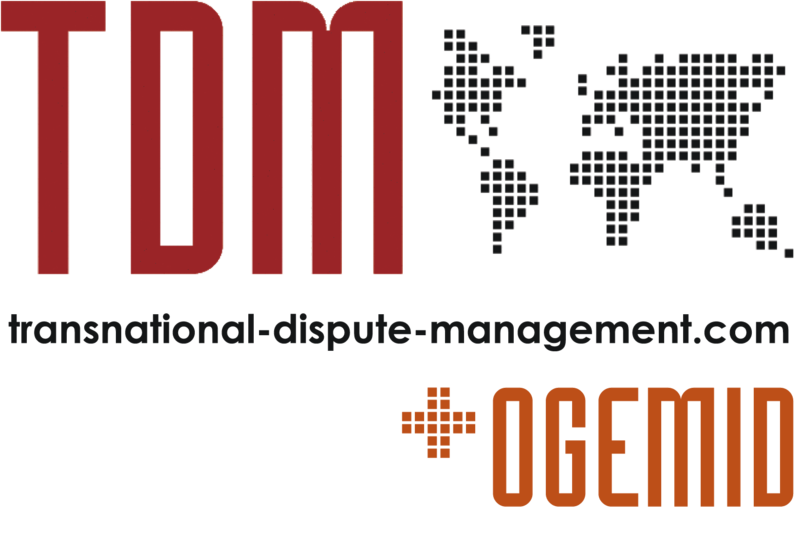 The liability of the Organizer, co-founders, hosts, sponsors and arbitators for errors or omissions is limited to the full extent legally permissible.